Our newsletter will keep you up-to-date with the latest news, tips and insights to embrace life in South Africa! * Our Ebook is out! : Our book is now available also in an updated pdf-ebook version. 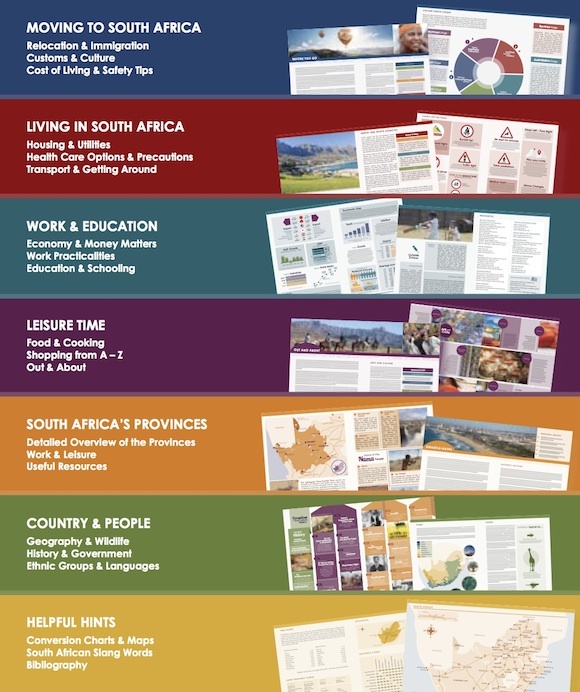 The updated version of the popular 'Living in South Africa' expat guide book can now also be pre-ordered. Order your ebook via secure paypal link and you gain immediately access to our tips and advice on moving, settling-in and enjoying life in South Africa. * Join us: Visit us at the South African book fair in Newtown/Johannesburg from 31.July to 2 August 2015. If you are in the area, make sure to come and chat to us. Looking forward to meeting you! * What means 'Ag nee man'? Ag is used a lot as a particle to emphasise confusion, disappointment or irritation, meaning 'Oh no!' This is a friendly version of all the exclamations you will hear when load shedding is coming again unannounced and usually at an inconvenient time, as you try to bake a cake for your kids school function, have not saved your email or article you have started writing or are sitting at the hairdresser, who now cannot blow-dry your hair. * What means 'Eish'? Eish is used in a similar manner, but also includes an element of surprise. More in the sense 'Eish, just managed to sent the mail off'. However, there is the standing joke now, that Eskom (the country's only power supplier) should be referred to as Eishkom. 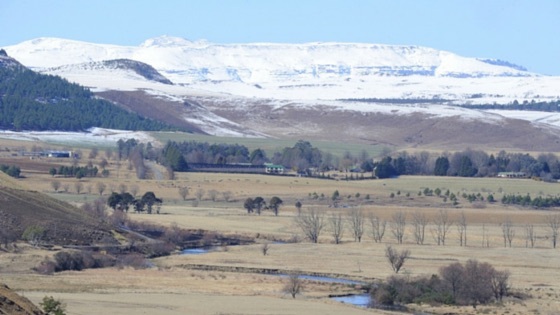 * Winter Wonders - Enjoy Winter in South Africa: Winter has arrived with storms, some flooding and even snow, as you can see in the image above (Underberg in KZN). During winter, it is wonderful that so many houses here have fireplaces and braaiplaces. These also come in very handy when the electricity is gone. As the houses here rarely have any heating systems in place, you must make sure to keep warm with dressing in warm clothes, even indoors. But be comforted, the cold spells rarely last longer than a couple of days and that when the sun is out, the temperatures can easily hit 20 degrees. The northern and eastern parts of the country experience their dry season during winter, which makes for lovely sunny and warm days. The nights, however can be freezing cold, so be sure to have warm clothes with you for these areas. If you are looking forward to a bit of fun in the snow, head to Tiffindell in the Eastern Cape. This is South Africa's only ski and snowboarding resort and situated at an altitude of 2,700 metres near Rhodes. There are also lots of festivals and events taking place in July. Enjoy chocolate tastings at the Stellenbosch Chocolate Festival or indulge in oysters and other treats at the Knysna Oyster Festival. There is much to explore and discover. What is going on July in South Africa? Read more here. Kruger Park also called the Great Limpopo Transfrontier Park, is considered the world's largest conservation area and is roughly the size as The Netherlands. The huge area is located in the Mpumalanga and Limpopo provinces and offers a wide range of accommodation options inside the park (check out the camps on the SanParks website) and in the nearby towns and villages. Luxury safari experiences are offered also by various private game reserves bordering the national park. 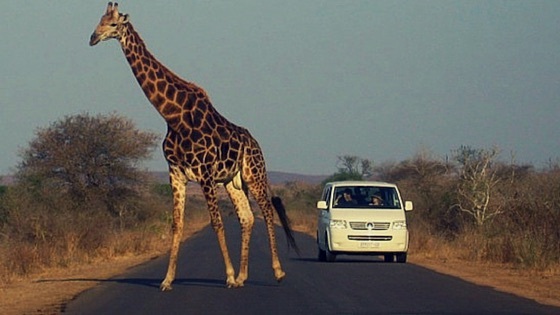 Especially the northern parts of the park are brimming with wild life and driving in the park in your own vehicle is a treat you need to enjoy while in South Africa. However, during the school holidays the park's road can get really busy and at wild life sightings, especially in the southern parts of the park. There is a quota visitor system in place to control the numbers of day visitors to the park and in high season it is imperative to arrive early at the park gates to avoid disappointment of finding the entrance to the park closed for the day because visitor numbers have already been reached. Also make sure to book your accommodation well in advance. If you explore the park over several days or plan to visit other national parks during your stay in South Africa, consider applying for a WildCard, the membership card of SanParks, the national South African national parks. If you are in possession of a South African work visa, you can join for a lower annual membership fee. * Economy: The prime lending rate remains unchanged in June at 9.25%. The unemployment rate is 26.4% in the first quarter of 2015. The inflation rate has again decreased to 4.5% (April 2015), and is still in the target range of 3%-6%. * More 'load shedding'? Load shedding is referring to electricity saving measures imposed on all electricity users in South Africa to prevent a total blackout. As the power system is under strain due to ongoing maintenance and delayed delivery of new power stations, these severe measures impact on anyone. To relieve pressure on the electricity grid, the whole country currently experiences load shedding which means power cuts of two to three hours at a time, rotating in the various areas. We found the GridWatch Load shedding app useful. It also comes with a handy torch light. The app can be downloaded onto Android devices. * Immigration: Be aware of the new regulations regarding travel and immigration to South Africa. See the newest updates in our immigration guide on the website. Remember that for travel with minors, you need to carry an unabridged birth certificate in English, stating both parents details, for travels to and from South Africa. This applies only for travels across the borders, not for travels within the country. For more information regarding travel with children click here. 18 April is Nelson Mandel Day. 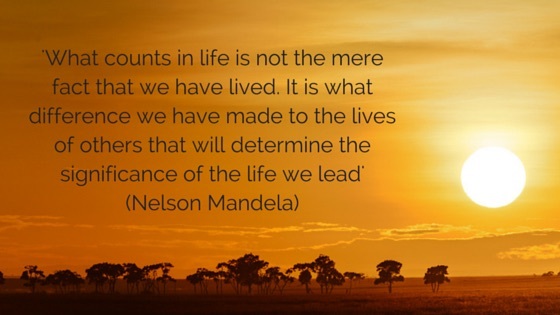 On this day we remember the legacy of Nelson Mandela. In 2009 this day was launched by the UN to recognise the birthday of South Africa's great leader who is lovingly referred to by many South Africans as 'Tata Madiba' or 'Father'. Have a look at the MandelaDay.org.za website which lists a number of activities and resources, so we all can make a difference and show actions that speak louder than words. In our Facebook and twitter forum, on the blog and website, you will find many tips and news on happenings and events for expats and all who want to embrace life in South Africa. We welcome your information and comments and look forward to hearing from you!